Looking to add a bit of colour to a rock or small garden? 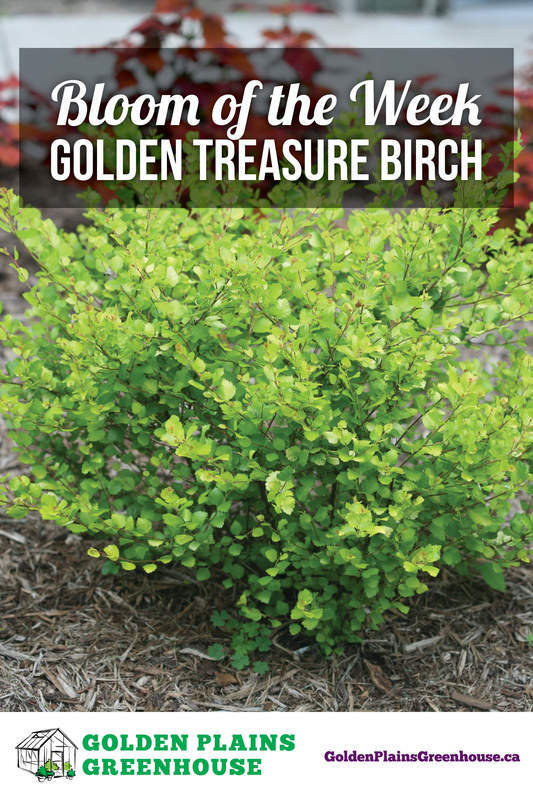 Try the new Golden Treasure Dwarf Birch. The small, fine-veined leaves start bright yellow-green in spring and turn golden in summer! This dwarf shrub grows in a spherical shape and will be 3 ft. tall at maturity. Golden Treasure can be pruned into any shape or can be sheared, hedged or trained into a dwarf patio tree. This Birch is extremely cold hardy, being a zone 2. It is low maintenance and should only be pruned in summer after it's leaves have fully formed, as it may "bleed" sap if pruned too early in spring or too late in fall.